As most of you know by now, flower arranging is one of my very favorite pastimes. 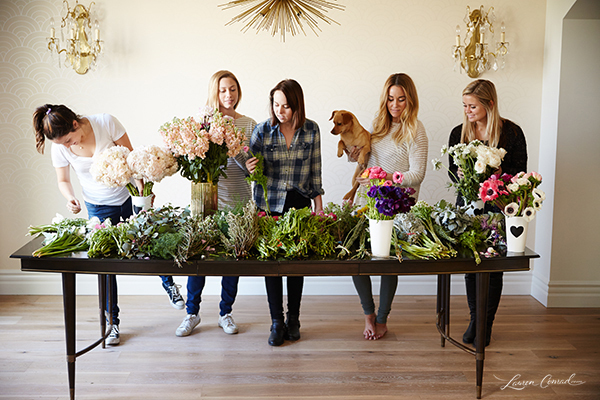 I take regular trips to my local flower mart, and usually opt to create my own centerpieces for a party or gathering. Working with flowers is fun, can save a pretty penny versus going to the florist, and it’s even a little therapeutic if you ask me! Bridal bouquet recipe: hydrangeas, feverfew, garden roses, Queens Anne’s lace, scabiosa, anemones, ranunculus, silver brunia, dusty miller, chamomile, plumosa, wax flower, and fringed tulips. 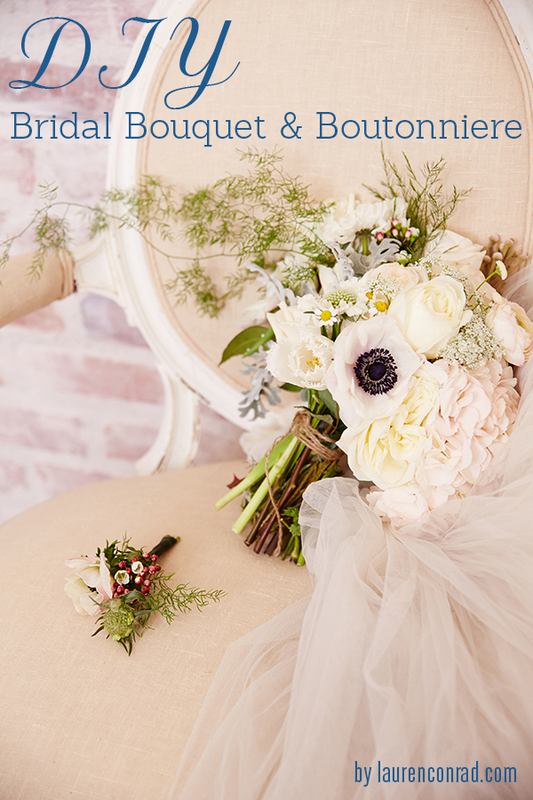 Bridesmaid’s bouquet recipe: hydrangeas, feverfew, ranunculus, anemones, silver brunia, thistle, wax flower, plumosa, and dusty miller. Caitlyn’s tip for day of wedding: Put your finished bouquets in a vase or large mason jar with about 1-2 inches of water at the very bottom. Towel-dry the stems when you are ready to walk down the aisle. This will keep the flowers hydrated enough without having to worry about dripping on your gown. 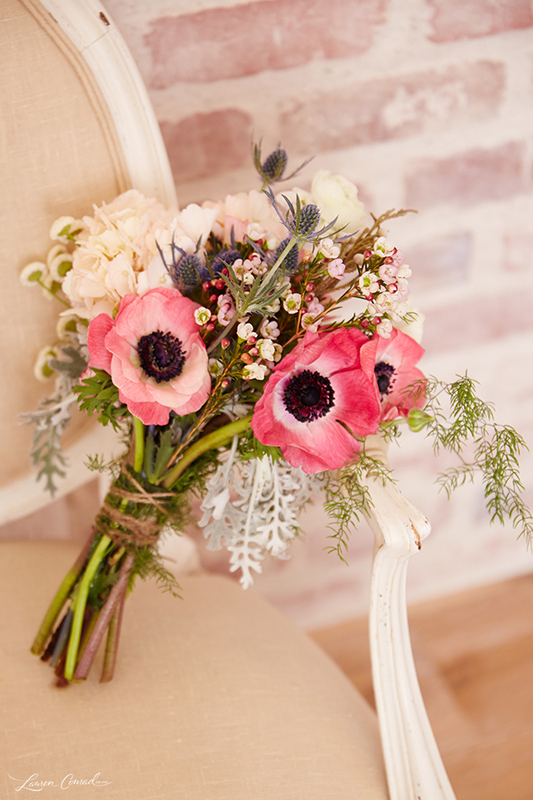 Boutonniere recipe: anemone, scabiosa, wax flower, and plumosa. Caitlyn’s tip for day of wedding: Keep your boutonniere in the fridge or a cool space until right before the ceremony (or pre-ceremony photos) to prevent wilting and keep the flowers as fresh as possible. And there you have it! 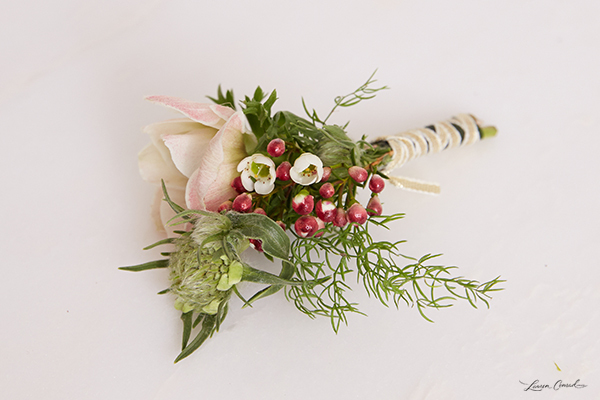 As you can probably tell, it is quite an undertaking to create the bouquets and boutonnieres for your own wedding, which is why I would probably recommend putting a trusted and crafty friend in charge for your own big day. That way, you can spend the morning getting ready or relaxing. And, when it’s your friend getting married and not yourself, this can be a really fun and meaningful gift. 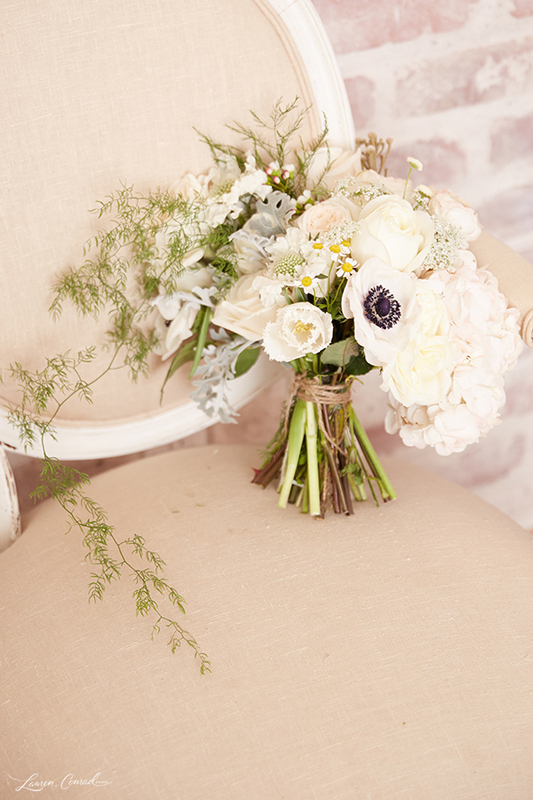 Are you going to try this floral DIY? And a big thank you to my friend Caitlyn Rylander for giving Team LC (and Fitz!) this little lesson.